"Impossible is nothing" - with this motto Dilyaver LTD passed the first stage of the formation to develop dynamically. The company started in 1992, trade in posters, chewing gum through a network of distributors in the Moscow subway became the first experience of business. After a few months Dilyaver LTD has so boosted sales, that's why bought up all the gum produced in the factory "Rot Front". Chewing gum "pulled" a candy, halva, chocolate, buyers of the company "Dilyaver" became major regional wholesalers, Moscow stores. By 1993-94 Dilyaver LTD was among to the five largest companies which sell a full range of the Moscow factory "Red October", "Rot Front", "Babayevskoye" "Udarnitsa", "Bolshevik". Than the company "Dilyaver" pushed its sales outside the territory of the former Soviet Union. In 1994 Dilyaver LTD took part in one of the largest international food and drinks exhibition in the UK (Birmingham), Food & Drink Expo. 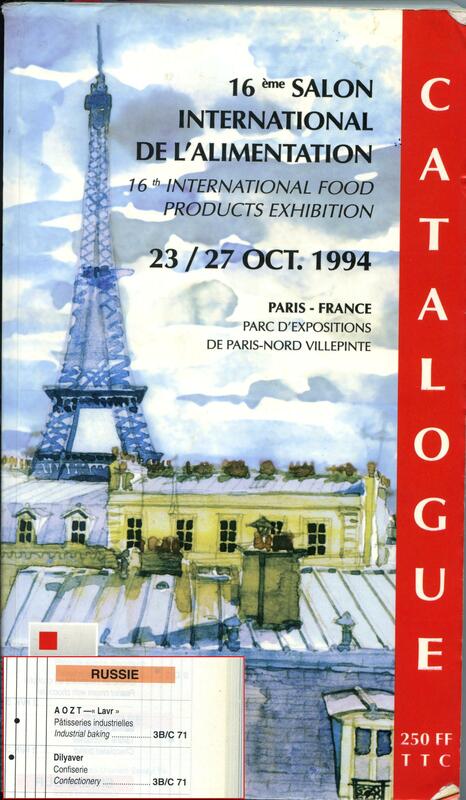 In 1994 Dilyaver LTD participated in the international food products exhibition in Paris. In 1995 Dilyaver LTD got an official status of the representative of the factory "Red October" in North America and started to deliver Moscow confectionery products in the United States. Among the clients of Dilyaver are traders from Israel, Greece, Mongolia. At the same time were opened a few more businesses, the most successfully is developing trade in office equipment and the production of Christmas gifts. Since 2000, Dilyaver LTD regularly participates Prodexpo, ROSUPAK, World food. Now Dilyaver LTD occupies a leading position in foreign economic activity, specifically the export of foodstuffs and consumer goods to far and near abroad. The high quality of Dilyaver LTD employees contributes to the expansion of geography of Dilyaver LTD as well as an increase in partners abroad, and trade between the countries.